At Web Conceptions, we remember the internet since the early 1990s, when we were actually using it for very basic bulletin boards, forums, research and inter relay chat - such exciting and fun times! Throughout the years, we've followed its development trends closely, both in technology and user behaviours - in our own everyday life, higher studies discourses, and in the professional field. This has put us in a unique and commanding positioning of understanding its technicalities and possibilities, and in turn be able to pass on this knowhow through website development, SEO and online communication solutions to clients. Over the last many years, the Internet has progressively become the world's major channel for communication; considering its immediacy, global yet localisation aspects, interactivity, accessibility and its mobility. Online/digital marketing communications utilises Internet enabled devices to reach out, inform and engage with an audience, be it consumers/clients, business partners, organisational members, subscribers, readership, or simply the general public. It is a tool and process for developing a position and brand, reinforcing credibility and presence, as well as directly promoting products/services or a cause. Such communications can be via a variety of key online channels, such websites, e-mails, newsletters, online PR, social media and applications. 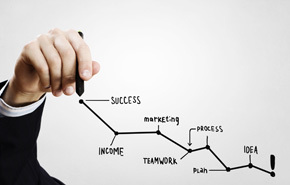 Online success begins with an idea, set out with a plan, and executed with a proven process. Our team's knowhow and years of experience in doing this for a range of clients, in diverse sectors and in different countries around the world, ensures you are guided properly. Online marketing communications helps you reach audiences in an easier, more immediate, and more efficient manner - this can be personalised and broad, localised and global, as well as dynamic and interactive. The advancements in online marketing communication technology now allow for all sorts of extra options, such as more accurate targeting of an audience, i.e. via certain devices and channels, user profile and demographics, market location, as well as closely monitoring activity and trends. Such online marketing communications is also a much more non-invasive method, allowing the user to consciously opt in and click to read more, or of course purposely search to learn more, as opposed to say other direct and mass advertising mediums that in many ways interrupt a moment and are often considered to be spam, annoying, as well as a greater waste in environmental resources. Web Conceptions have the knowhow and expertise to help you utilise online marketing communications successfully. This includes proven work across diverse sectors, specifically in web design, development, organic SEO and social media, but also more broadly in journalism, PR, content creation, IT, and business-corporate marketing communications. Our team is made up of a unique combination of professionals with extensive international experience in these exact fields - with projects throughout the EMEA region, as well as Australasia. Embedding the publicly available Youtube video from Austrade on one of our client's website helped provide a more dynamic snap-shot of Australia's market intelligence to the Greek and wider Europe market; Australia's role in international relations, vibrant economy and trade, and unique places and people. This then helped our client attract new business interest. Such dynamic content is especially important in technologically advanced and website mature markets like Australia and Europe. The best thing about the Internet is that it's immediate, dynamic and interactive on all sorts of different levels. It offers an exciting new way of reaching out and communicating with an audience. The more work you put in, the more results will be seen; and quickly. Web-Conceptions help create and integrate a solution that offers clients the ability to autonomously and easily maintain online marketing communications. This then helps improve online presence and brand credibility in a cost-effective manner. Main objectives are to boost brand exposure and credibility, enhance organic Search Engine Optimisation (SEO), increase relevant website traffic, and maximise conversion rates. Essentially, our solution revolves around a content-rich and dynamic website platform, then integrating other online communication channels. With this, clients are able to use marketing communications to virtually connect with the outside world and target audiences. With this, it's all ready to go! Begin creating new and compelling content. Simply upload to website and then share it around via the different online communication channels. It's as simple as that! 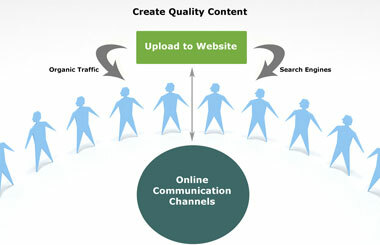 At Web Conceptions, content marketing is at the core of our services. Essentially, this ranges from copywriting the website's core content during the development phase, website content maintenance after launch, content creation for third party websites (news, articles, blogs) to creative content for key social media channels. Web-Conceptions create a website to act as a platform to leverage new content. Our website solutions come with custom-built Content Management Systems (CMS) that provide clients the ability to easily update and manage dynamic parts of their website autonomously/in-house (together with our training, consultation and support). These dynamic aspects are pre-defined during the project planning and development stages. This way, you can make sure you website has new, updated content all the time. For instance, having dynamic pages for news, press release, blogs, journal, events, products, or whatever other part of the website is essential to be dynamic, i.e. updated on a regular or at least semi regular basis. Overall, this makes sure your website is up-to-date, whilst also adding more content into the website's system, making it bigger and more powerful for organic SEO and online presence. This approach also offers updates for content sharing, such via social media, PR/communication channels, RSS/ML feeds, or other third party websites/directories. Alternatively, this work can be outsourced to Web Conception's professional copywriters and web masters. Our team has the expertise and professional experience in creating successful marketing content for diverse sectors and markets around the world. This includes undertaking extensive research and benchmarking to obtain vital insights, together with creative input. Our experience and technical-knowhow allows us to maintain such aspects relatively quickly, ensuring low costs. Content contributions on credible online sources, i.e. Wikis, 'How to do', 'what is' sites, review sites, etc. Social media content, such as posts for key platforms Facebook, Google+, Twitter, LinkedIn, and YouTube, as well as support in maintaining, boosting and monitoring activity. 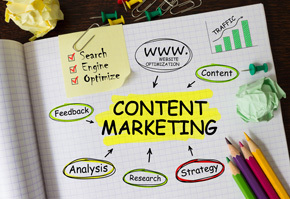 Content marketing is all about creating compelling content to inform and engage an audience, build up your website's content to make it more powerful in SEO, and to enhance brand presence and credibility across various online channels, such as social media, traditional media, and other third party websites. Web-Conceptions provide the service of writing and editing company/organisation news and press releases, as well as media liaising and management. This service is available globally. Our team has over 15 years experience in international journalism and PR with existing database of media contacts, particularly in the sectors of travel and tourism, hospitality/hotel, professional services, and shipping/maritime. Online PR and media work can create a powerful impact to both branding and SEO, especially when material is extremely newsworthy. Consider the value of seeing your company's news in industry or mass media, as well as on hundreds of different websites. Exposure such as this is invaluable. At very minimum, maintaining press releases keeps your website updated and rich with new content. You can then extend this to having your news appear on other third party website, offering added online exposure, whilst generating more back-links, thereby enhancing domain authority and in turn boosting organic search engine ranking (SEO). Furthermore, having your brand appear across multiple sources enhances brand credibility. If your press release can be powerful enough (known as newsworthy) and well written, then there is a much higher chance of reaching industry and/or mass media - some additional paid sources help with distribution to media. Our price of this news writing service varies with complexity of situation/content, therefore time-spent. Charge is on a conservative time basis - in other words quite affordable when compared to traditional PR agency prices. It is also specialised on online channels, but of course can also lead to traditional media; print and audiovisual. We are always upfront and honest about the possibilities and the likelihood of having your material reach media, and work closely with our clients to uncover the best information and to articulate the best possible news story to give it the best chance. Client initiates the request to have a press release or article written and submitted. Client supplies Web-Conceptions with as much specific material on the topic, together with their own ideas and content contribution, i.e. feedback on the subject. Also supply any supporting images. Quick brainstorming session between client and Web-Conceptions (although not always necessary) to develop the story. Web-Conceptions collate all information and write the press release or article. Report is sent back to client for approval and any feedback. Edits are made and re-sent back to client for final approval. Press release/article is posted on client's website and distributed both directly to media contacts and via online distribution services. Note, accuracy and speed of delivery are crucial with news. So the faster all this can be accomplished the better overall impact. Also, the more newsworthy material is the greater impact it is likely to have in the media and generally online. Although Web-Conceptions will use its skills and know-how to convert the material to a well written and newsworthy piece, it cannot guarantee exposure, as this will very much depend on what your story is about. This service allows you to expand the exposure of your press releases and articles. Such services send your material to more sources, including other websites, news wires and the media. There are many vendor services to choose from. Web-Conceptions help choose the right medium according to each client's market and situation. Syndicate websites that feed your content via RSS, thereby creating greater exposure, as well as back links to your website. Media, for using your material in their news websites and/or hardcopy newspapers, radio or TV. Price of such service varies according to reach and other special characteristics, such as the ability to create links within content, embed photo or video, company profile, number of selected keywords or categories, immediacy of action, etc, as well as of course the chosen provider. Social media has become a huge global phenomenon since the beginning of the century. It has changed societies by re-shaping the way we communicate and interact; as individuals, organisations, institutions, and communities. The way we use social media will also surely continue to evolve over the years, as we become more aware of its impact, abilities and possibilities, and as new technologies/features are developed. Social media platforms allow people, organisations and communities to easily and quickly create and share information, ideas, knowledge, interests and other forms of expression via online virtual networks - something that was in the past limited to traditional media and to those that had the technological resources. The dynamic and highly interactive nature of social media, its immediacy, ease-of-use, and extensive possibilities of sharing content have made it hugely popular around the world; in many ways addictive. Since so many people spend so much time on social media - supported by greater accessibility and mobility - it has also become a vital medium for businesses and organisations to actively reach and communicate with their audience/markets. The advancement of social media technologies have also created new exciting avenues for marketing and promotions, such as being able to better target specific markets, demographics, and interest groups, as well as closely and accurately track Key Performance Indicators (KPIs). Social media is a fantastic tool that allows companies, organisations and people to enhance their online presence, whilst better communicating and interacting with their audiences - all done so rather efficiently, being able to do it in-house and at relatively low or no costs. However, there is no doubt that there are also best practices with social media, and expertise and experience can make a real difference. Each social media platform has its ins and outs, both in regards to technicalities/features and user behaviours/trends. Understanding these from the beginning is fundamental. At Web Conceptions, we have always been firm believers of having the client at the helm of their own social media and actively involved. We believe it is crucial that the client knows their audience more intimately and what's going on, in order to create more engaging content, drive activity, and respond accordingly, both on- and offline. At very minimum, it is absolutely essential that the client kick-starts their activity. Since social media is at its core all about social interaction, it is the client's own circle of 'friends' or contacts that will drive results, at least initially. And it grows from here. Our expert knowhow and experience with online marketing communications, both in web and social media, helps ensure optimal use and success level. Our services in social media help clients properly set up their initial presence on key platforms to enhance overall appeal of the channel, help with creating and executing new content, and overall advising on best practices with social media activity. This can be ongoing, with regular consultation and training, or sporadically on a campaign basis. 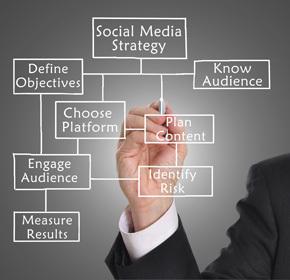 Choosing the right social media platforms for the client's purpose: since we are already involved in the creation of the client's website, including planning, research, development, content copywriting and SEO, then we are also well placed to understand the client's business/organisation, markets and targets. We can then advise on which social media platforms best suit for their purpose, and how best to use them. Indeed, not all social media platforms are always appropriate, whilst it is always best to use a few and use them well. Creating the right social media structure and design: our team helps companies and organisations set up their social media infrastructure, including security settings and notifications, privacy settings, type of page structure, category, additional promotional options, as well as the overall aesthetic look, read and attraction of the channel, such as profile image, banner image, colours, introduction/about text, service list, links, among other. No doubt, these are also dynamic and should evolve over time as needed, but essentially the core infrastructure remains the same. Plan and execute engaging content: "Content is King" also for Social Media, as it drives genuine activity and results. The goal is to create content that followers and prospective followers will find interesting and engage them to interact, i.e. 'like', 'share', 'comment'. This then grows the exposure of the activity. Crucial to social media success is to understand your audience and what interests them and/or drives them to respond; understand the platform and how best to use its features to deliver the content - indeed each has different possibilities and limitations, such as in word lengths, multimedia abilities, tagging, hash-tagging; and finally, understand that each social media platform has different user behaviours. You should always adjust and deliver content according to each social media. Having built their website and wider online presence, we know our clients' sectors well. This puts us in good stead to advise on content creation for social media, and help plan and execute content over key platforms. Measure results/KPIs and advise: experience truly comes from trial and error; or better put just getting involved. Meanwhile, insights (performance statistics and trends) are your best guide to take action going forward. One of the fantastic aspects of social media is that they provide detailed and accurate Key Performance Indicators (KPIs), also in real-time. We help clients understand and learn from these KPIs, whilst at the same time, monitoring them ourselves for future consultation and work, and how they integrate with website traffic trends. This includes crucial elements such as what type of content works best, and what time works best, i.e. time of the day and day of the week. Maintaining activity on social media is crucial in establishing and increasing presence within the channel and achieving best results for wider online marketing communications purposes, i.e. driving traffic to your website and building online brand credibility and presence. Indeed, organic activity on social media is most credible and powerful. Social media revolves around social (and more personal) interactions, with people predominantly wanting to see, like, share and comment on interesting material from and to their own friends/contacts/networks. 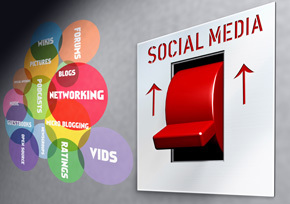 Social media is mainly a social networking tool. Its core philosophy and feature is to connect people and pages to each other. 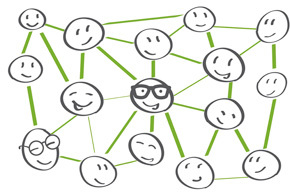 As activity and interaction grows, the network circle and therefore audience also gets wider. Where it gets 'creative' is delivering content to be "social media worthy" and engaging, therefore more likely to be successful in reaching a wider audience. In other words, content that drives interest, with more interaction - likes, shares, comments. The technicalities in delivery are no doubt important, as they offer the content best chances of success. Meanwhile, being active and following-up helps push content, and drive more results. So overall, understanding the social media platform and your audience puts you in best position to create the right content. Important to note: social media is also constantly evolving, both in terms of technicalities/technology and in the behavioural trends of users. Many factors, including psychological and societal are rapidly changing the way we use and accept social media activity. For instance, consider Facebook or LinkedIn, and the contacts you have that post so many times every day, and/or those that post tedious and uninteresting stuff all the time. If these contacts start becoming annoying, you are likely to ignore or un-follow them; worst still remove them from your contacts. At Web Conceptions we've followed such trends in social media very closely for well over a decade. Since the beginning, we have always advised our clients to adopted a philosophy of how we say in Greek "Liga kai kala". In other words, do not overdo it; post only quality stuff. If someone un-follows (or mutes) a page/person, it is very difficult, if not impossible to get them back. Even if a page has many likes, this does not necessarily mean they are all following, which means they are not actually being fed the posts/activity. Go after real followers, and keep them engaged and satisfied, yet do not overdo it to lose them. Social media technology has become smarter. It recognises what people are interested in most by keeping track of their activity and interactions, such as what they click, like, share, comment, or even what they stop to read/see for a little longer on their timeline. As such, even if someone is following a page, this does not necessarily mean they are presented with its content all the time. Paid campaigns on social media are very beneficial for expanding reach and attracting a wider audience, as well as building more fans/followers. Essentially, you allocate a certain budget (anywhere from very small to medium/large) to have social media activity boosted to a larger and more targeted (filtered) audience. At the same time, this creates more exposure for the social media channel (page/profile/handle) and in turn brand/identity. For instance consider a business Facebook page. If there are 1,000 followers on this page, a post would potentially reach (some of) these followers and their own circle of friends if they in turn "like" or "re-share" the post. If however the post is boosted with a paid campaign, it would reach people who do not already follow the page, thereby introducing your content to a new audience. Thus, more people see the post, ultimately leading to a wider reach, and potentially more 'likes', 'shares' and 'comments, which in turn further increases the organic circle of reach. At the same time, this promotes the page/profile/handle to a larger audience, therefore increases the chances of obtaining more followers for future organic activity. Paid social media campaigns can be filtered to specifically target the most relevant audience, i.e. males or females, age brackets, demographics, certain geographical region/s (country, cities, etc. ), and with particular interest, among other. Essentially this means you get more value for your money! There is no doubt that paid campaigns on social media work very well. They help reach a larger audience, and with the option to filter to target the most relevant market. When properly used in combination with organic activity, it can be a very effective and efficient tool for promoting products/services or general online branding of a business/organisation. There are many different forms of paid online-digital marketing. Utilising some of these as part of an overall online communication strategy can be very beneficial. Essentially it helps boost exposure gained from organic means, target certain highly competitive sectors where organic results a simply not powerful enough, as well as offer valuable online insights and possibilities. Web-Conceptions provide assistance with planning, executing and monitoring various paid online-digital marketing as part of an overall online solution in web development, SEO and online-digital communications. 1. Search Engine Marketing. Utilising major search engines such as Google, Bing and Yahoo to run paid search engine placements, where your listing features in specific search results, selected based on a key word planner, as well as targeted markets. This can be a very effective method for reaching niche or highly competitive segments, as well as for evaluating online customer search trends and behaviours. 2. Online-Digital Advertising. Delivering pay per click (PPC) and sponsored listings across various websites and mobile devices, filtered to target ideal markets and segments. A number of sophisticated platforms are available for this solution. 3. Social Media Paid Campaigns. Sponsored paid campaigns across major social media platform such as Facebook, Twitter, LinkedIn and YouTube. Essentially they allow you to boost a particular post/activity to reach a larger audience. This can be filtered to better define a target audience and market. 4. Affiliate Marketing. Pay Per Genuine Lead & Sale with affiliate marketing. This is a type of performance-based programme in which a business or organisation rewards its affiliate advertiser for each hit, lead or customer brought. 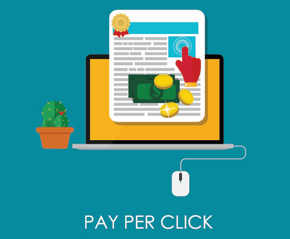 Payment formulas can vary from pay per click, per lead or a percentage of commission on each sale. Such affiliation programmes can be direct between the merchant and the affiliate (publisher) or via third party affiliate management agencies, which contain many types of affiliation programmes for publishers and merchants to choose from, as well as taking take care of payment processing. 5. Website advertising. Promotions on third party websites, just like more traditional type of marketing. Other websites and directories might charge a price simply based on a schedule rotation (daily, weekly, monthly, yearly), or based on 'click-through' or "impressions" - in other words, they sell a package of how many users are presented your advertisement (not clicked, just shown). Indeed this is still a form of branding, and can be most effective/efficient for a purpose. 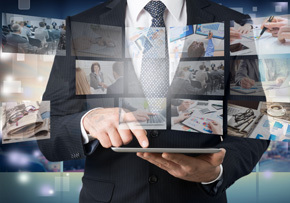 Digital videos have become a top priority in online marketing communications, both as commercials and infomercials. No doubt, digital video - motion pictures and sound - can be one of the most powerful mediums to portray a message, or educate a market, especially nowadays online, where people can share, re-share, like and comment in social media, and/or embed it into their own websites. This means a digital video has the opportunity to go viral, and be seen throughout your local market, as well as across the globe. Such digital videos provide excellent immediate impact, as well as ongoing exposure, since your video content is always accessible online. Hence Search Engine Optimisation (SEO) benefits. They also encourage website visitors to stay longer on your site, what should be a fundamental goal for all website owners. Together with Yennaris studios, Web Conceptions provide post production video services as part of a complete web development and digital communication solution, including 2D/3D Animation, Character Animation, Motion Graphics, Digital VFX for multimedia, namely television adverts, motion picture films, and online communication channels. 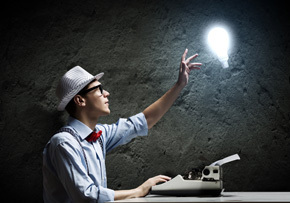 This includes assistance with idea and concept creation, together with script writing. Combined with Web Conceptions' overall solution in web development, SEO and digital communications, such video services provide an invaluable tool in reaching and impacting your audience; mass or niche market. It should be remembered that what ever is posted on the Internet can have a far-reaching and long term effect. Other websites can now easily borrow your content and re-post it. This can make it quite difficult - sometimes impossible - to access your material for edits or deletion. In many ways, it becomes a scar on your online and offline reputation. In Facebook for instance, if someone 'shares' your post, you can not edit or delete this later. Meanwhile, some websites make it their purpose to collect all sorts of information from other website, collate this, and then present profiles on individuals and companies. In fact, this has now created a whole new online industry in reputation management, with specialised companies helping to remove unwanted information/content. This can not always be guaranteed, and at the same time, an added expense (of course you can also do much yourself). But best to avoid this from the very beginning. When creating and posting information on the Internet, ensure it is accurate, credible and portraying exactly the image you are striving for. You should always evaluate your immediate and long term online reputation and how material will influence this. And be delicate. Keep tabs of yourself online. Conduct regular searches of yourself and/or company/organisation. Stay in the loop with what's going on. Also note that you can have automatic notifications from search engines, sending you e-mails every time your name appears in a new search results, i.e. new article, press release, website, etc. If ever you see information you do not agree with, first and foremost request to have it taken down by the webmaster. If you do this professionally and explain your reasoning, there is no reason they should deny. The best way to counter any negativity is indeed via content. So keep all this centralised and consistent. The more and more accurate content you have on yourself and business/organisation, the more likely these will appear in search results. Hence also the benefit of having your won website. It might be a good idea to also purchase your own domain name. This way you can always counter any negativity with your own content. The same holds true for social media platforms. The more you manage, and manage well, the more these will appear over and above the negative publicity. Especially if you linked many of them together, i.e. Twitter feeds on your Facebook wall. Either managing all this yourself, have a staff member, or a professional agency such as Web-Conceptions. You don't have to be fully active on social media either, but its much better to have some presence than none at all. Contribute some content every now and then, even if it's only copy-pasting an existing article from your website, or simply the link into the social media field. Above all, make sure you have all options (such as privacy and security) well customised and according to your goals. Many times they are defaulted on the options we do not want. So look into it. The most important thing is to keep in mind that that the Internet is a public domain. Especially now with the introduction of social media, mobile devices, and so many other new and unique sites. They can access information, store, represent, and spread it. S never assume anything is private. Keep your private affairs private, and think twice and three times about what information you post, share and send.